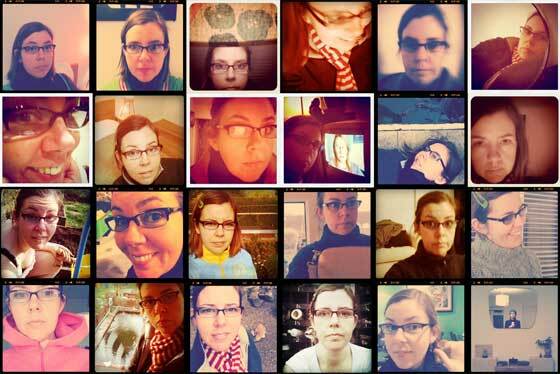 Another twenty-four days, another twenty-four portraits. We are currently up to the 104th day of 2011 and I haven’t yet missed a picture. The longer the project goes the more embedded it gets in my daily process. My enthusiasm for the project has also recently been boosted by my lovely friend and photographer Sue Venables who wants to include my 365 Project in a book she is writing called 99 Photo Projects. I am delighted to be included. This entry was posted in Documentary and tagged 365 days, new work, self portrait. Bookmark the permalink.